If you want remove all shortcuts at once, please select player and press Clear all button. All player hotkeys will be removed. 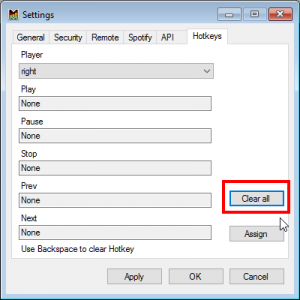 You need to assign it again if you want to control your player by keyboard.